AT&T Collaborate uses a content-in-common feature that is powered by Broadsoft Hub. 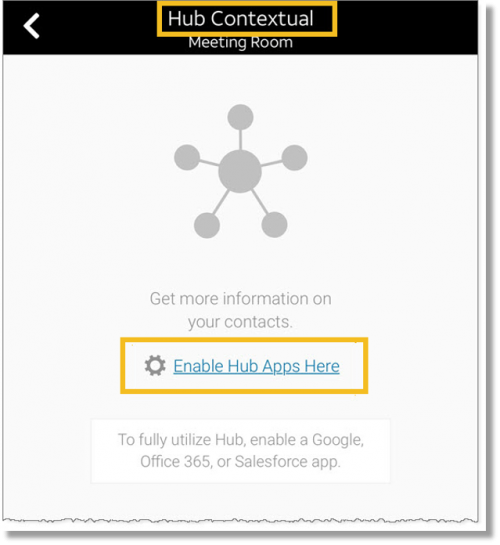 When hub apps are enabled, Collaborate automatically displays the information you have in common with other members of a shared workspace. 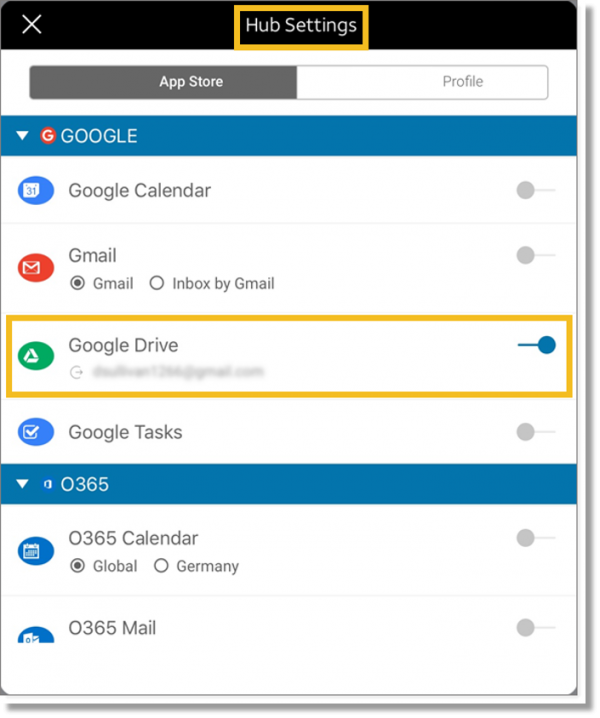 You can choose which applications’ activities you want to openly share in workspaces. In your team workspaces, you can filter members you want to filter your shared content by. Content-in-common will display the content you share with the selected people. In a workspace, in the upper-right, click the Contextual icon . The Contextual panel opens. Click Enable Hub Apps Here. The Hub Settings window opens. In the Hub Settings window, click Manage Hub Settings. 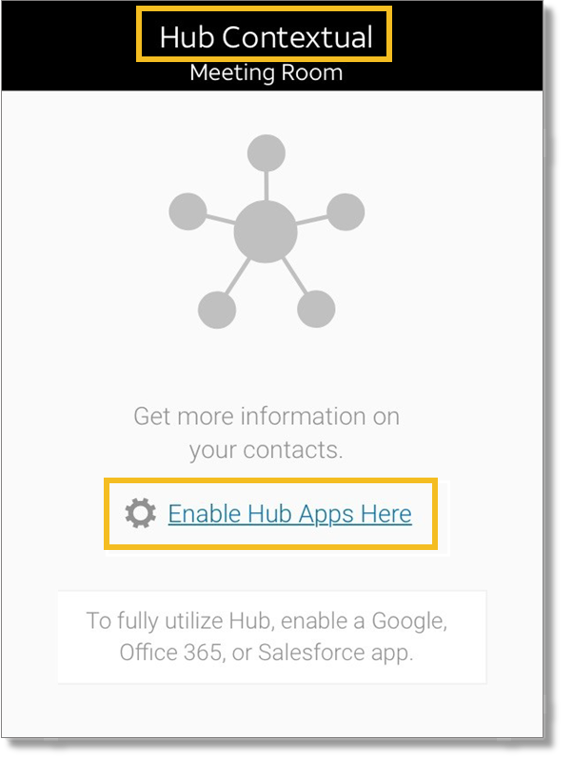 In the list, click the hub app you want to link to Collaborate, and then select the hub apps you want to use. When prompted to give Collaborate access to your account, click Allow. 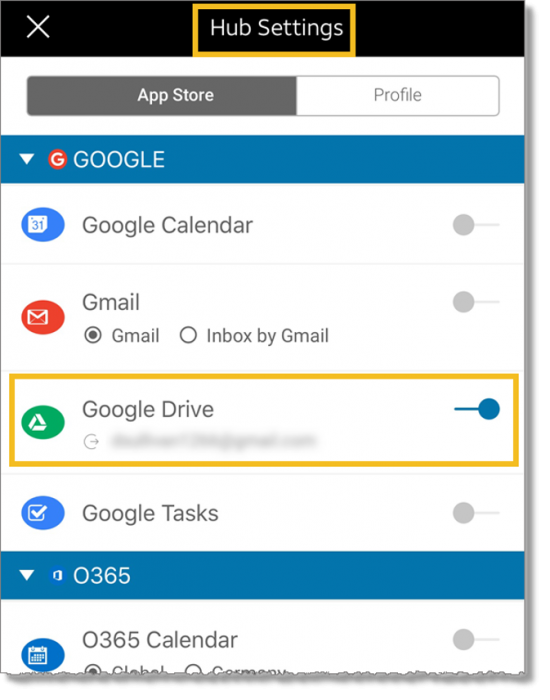 Turn on or off any hub app activation. 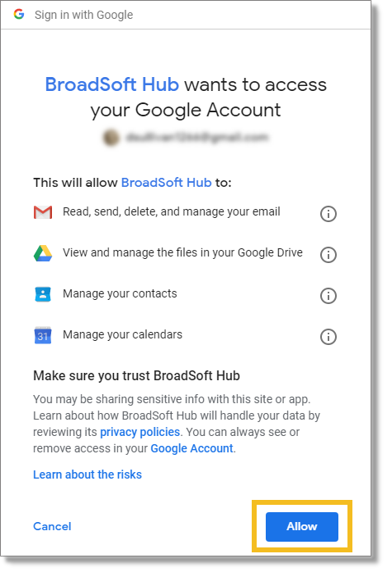 Close the Hub Authorization window. In a workspace, in the upper-right, click the Contextual icon . The Hub Contextual panel opens. 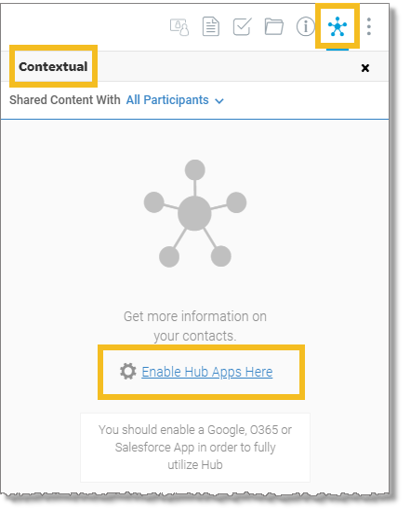 In the Hub Settings window, click the hub app you want to link to Collaborate. In a workspace, at the upper-right, tap the More Actions menu . Tap Contextual. The Hub Contextual window opens. In the upper-left, tap the menu icon . Tap Hub. The Hub Settings window opens. 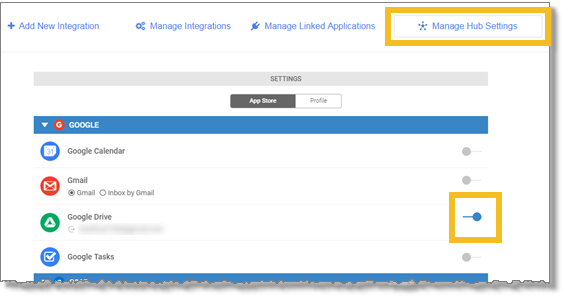 Follow the promptings to allow Collaborate to access the apps. The promptings differ depending on the app you enable. Click Done, to close the confirmation window.